The influencers they chose are all young ladies who dare to make bold statements, which was suitable for Maybelline’s lipbalm. Since they were all ‘memang’ (originally) fashion/makeup icons from the start, their followers would definitely be interested in this project. 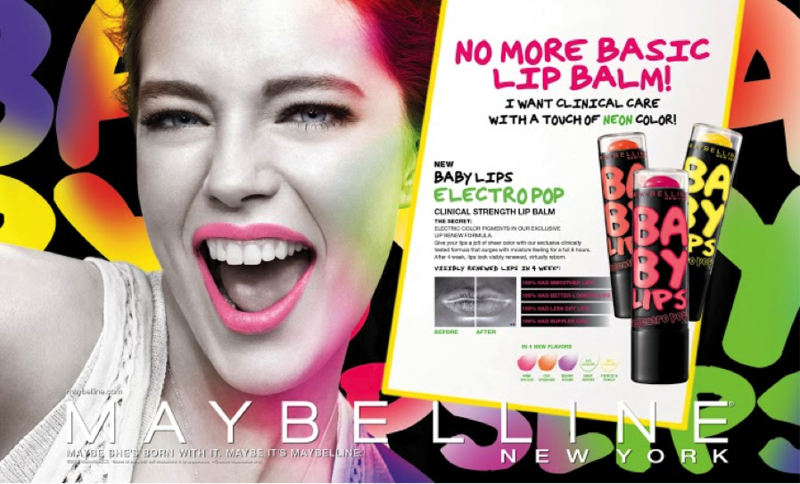 Until now, Maybelline’s #DaretoNeon campaign, meant to promote their Babylips Electropop lipbalm, is one of the top influencer marketing campaigns done. Search on Google for “Best Malaysian influencer marketing campaign” and this campaign will definitely appear in most of the results. So what made it such a big hit? By separating these influencers in ‘cliques’ of 3 to represent each colour of the lipbalm, the audience can choose which clique to support. There are even different hashtags (Neon2AM, NeonGlitz, NeonTM) for each group! Even the coolest group in your school don’t have their own hashtag. As mentioned above, the audience can choose which clique to support AND were encouraged to join a contest using those hashtags. Participants’ pictures were uploaded to Maybelline Malaysia’s Instagram (now deleted and merged with Maybelline’s official Instagram) which shows Maybelline’s interaction. If you knew your photo will be uploaded onto a famous brand’s platform, you’ll check it almost all the time right? (It’s okay to admit you’re vain.) That’s how Maybelline get their audience’s engagement with their content. Instagram works wonders in creating awareness. Just by clicking on one hashtag, the audience can view and browse through all other pictures posted by other people. It’s convenient for Maybelline’s audience, and they can even join in by just simply including a hashtag on their Instagram picture. Plus, the best part is that it’s easier for them to track the number of engagements they had through these hashtags. This campaign was very interesting as it garnered more attention than expected, with up to 300,000 people aware of this campaign and 128,000 engagements! (To even get 10 people to like our picture is already so difficult, so imagine how much difficulty they went through.) Huge salutes to this campaign. Of course, there is always room for better campaigns and you can contact us hello@bigcast.my to discuss the best way to promote your products.